Find out about our graduate selection process, from the application phase through to assessments, interviews and offers. Find out about our graduate selection process, from applications to offers. We offer Graduate program positions to a diverse mix of individuals. You could be one of them. Once you’ve decided which business group you'd like to start your KPMG career pathway with, you’ll need to submit your application – exciting times! 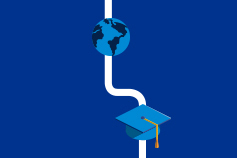 KPMG has a five stage graduate selection process – starting with an online application. Here is an overview of each stage and some considerations that will help improve your chances of success. An exciting KPMG career starts with a simple online application. We'll ask you some questions about your experiences to date, and why you've chosen to apply to KPMG. Be sure to do your research, have your CV ready and check your application for any typos. You can only apply to one location but you will have the ability to select up to four preferences of business groups on your application form. After completing the application, you’ll be emailed confirmation details on your submission. If you do not receive this, please email gradrecruiting@kpmg.com.au. Once you've submitted your application online, you'll be invited to complete two online assessments. The first is a game-based assessment that gives us some insight into your ability to evaluate and make decisions based on different types of information. After you complete the game-based assessment, you will then be asked to complete a short values inventory. The values inventory provides us with an idea of how you best work and what you value in your career, so there are no right or wrong responses. Both assessments should take no longer than 20 minutes to complete. You'll need to complete these assessments within 48 hours so we can progress your application to the next stage. After you've successfully completed our online assessments, we will send you a link to complete a video interview. The video interview shouldn’t be longer than around 10 minutes. We'll ask you to answer a few questions about yourself using an online video interview tool. Don't worry, the questions aren't tricky (and you get the chance to practice using the video tool beforehand). This will give us a chance to 'virtually' meet you and understand more about your motivations for applying to KPMG and the particular business group you've expressed an interest in. Prepare as you would for any other behavioural style interview. The final stage of the recruitment process involves you coming into the office that you have applied to, to take part in our KPMG Career Launchpad. You will have the opportunity to meet with many of our business representatives from different service lines, ranging from recent graduates all the way to partner level. You will take part in a fun and engaging group activity where you will work together to crack a business problem and present your solutions to us. In addition to this, you will also have a behavioural-based interview with representatives from the business group that you’ve expressed interest in. The interview will last approximately 30 minutes and will give us the opportunity to learn more about you. Your interviewers will ask you questions around your career interests, time at university, extra-curricular activities and any work experience you may have. We will endeavour to consider you for your first preference stated in your application form. If you're successful at the final stage of our process, you'll be contacted by KPMG and a written offer of employment will be forwarded to you. If you have any questions about our offer, or about working at KPMG, then we encourage you to talk to your local Graduate Recruitment Consultant. 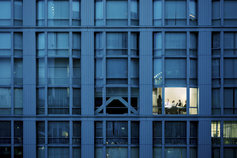 KPMG has exciting and rewarding career opportunities. Find out more about these areas.